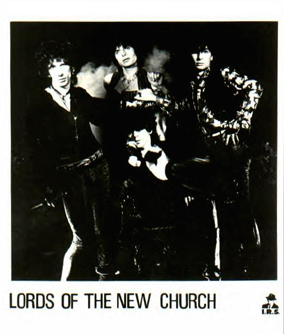 Formed in 1981, The Lords of the New Church already carried international Punk Rock prestige. Singer Stiv Bators and guitarist Brian James had been founding members of Cleveland's Dead Boys and London's The Damned. Joined by Sham 69 bassist Dave Tregunna, all had been successful, influential punk pioneers. While The Lords retained a punk rebellion about them, their music was darker, more melodic and better-produced. Their talents deceived the die-hard punk audience, while bringing The Lords a wider, more diverse following until their initial demise in 1988 and Bator's subsequental death in 1990.